The US Senate on Wednesday voted to pass a resolution to end US support for the Saudi-led war in Yemen. The measure passed with 54 for and 46 against. 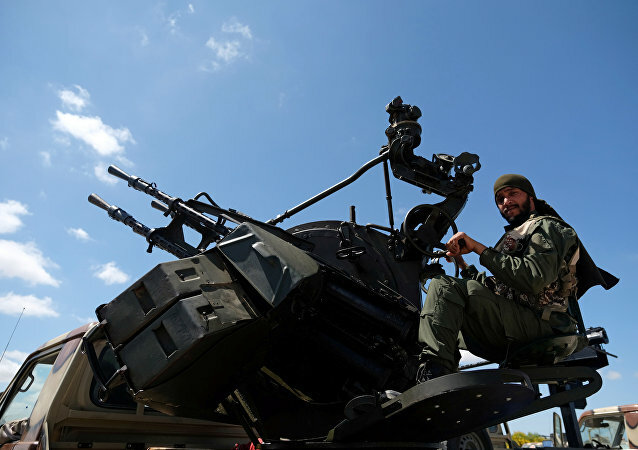 US President Donald Trump has so far failed to rule out the possibility of a military intervention in Venezuela, which is in the grip of a power struggle between incumbent President Maduro and opposition leader Juan Guaido. 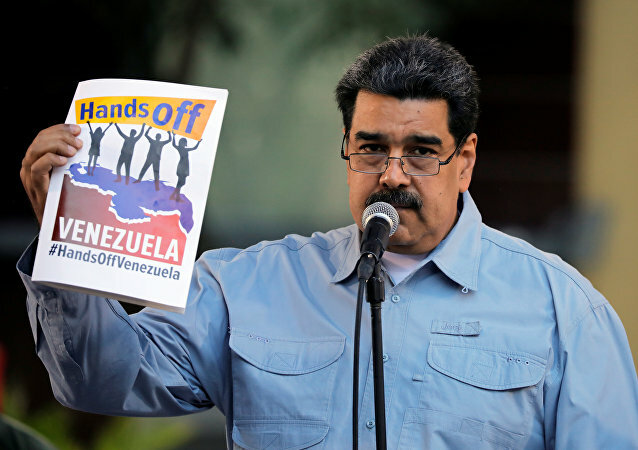 The collective action follows weeks of pressure from the United States, backing Venezuelan opposition leader Juan Guaido, who has declared himself the country’s interim president, and urging incumbent President Nicolas Maduro to step down. From the invention of photography and film to the present day, each major historical event has been preserved in the collective consciousness of mankind by one or several symbolic images. WASHINGTON (Sputnik) - US Special Envoy Elliott Abrams said on Wednesday during a hearing before the House Foreign Affairs Committee that arming the Venezuelan opposition would be a bad idea. WASHINGTON (Sputnik) - Congress would not support a US military intervention in Venezuela, House of Representatives Foreign Affairs Committee Chairman Eliot Engel said during a hearing on the crisis in Venezuela on Wednesday. The United States is working on scenarios for regime change in Venezuela, Russian Foreign Ministry spokeswoman Maria Zakharova has stated at a weekly briefing in Moscow. 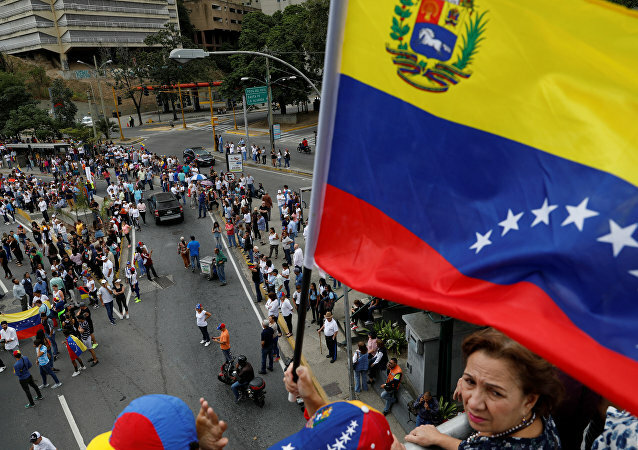 CARACAS (Sputnik) – A campaign to collect signatures of Venezuelan citizens against the possible US military intervention in the country started in the Venezuelan capital of Caracas on Wednesday, a Sputnik correspondent reported from the city. 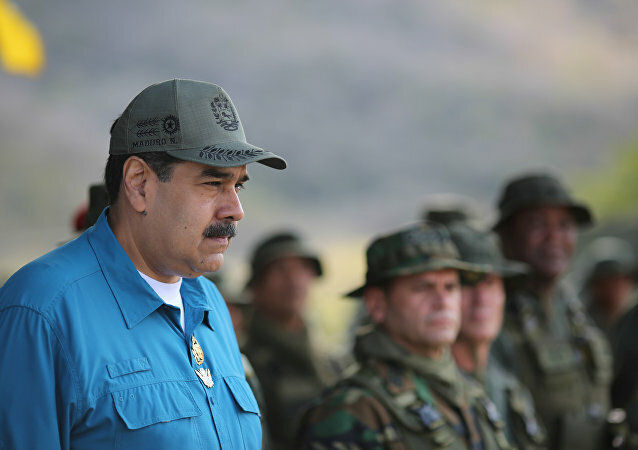 On Monday, Maduro warned against attempts "to weaken Venezuela" and fuel a civil war in the Latin American country. 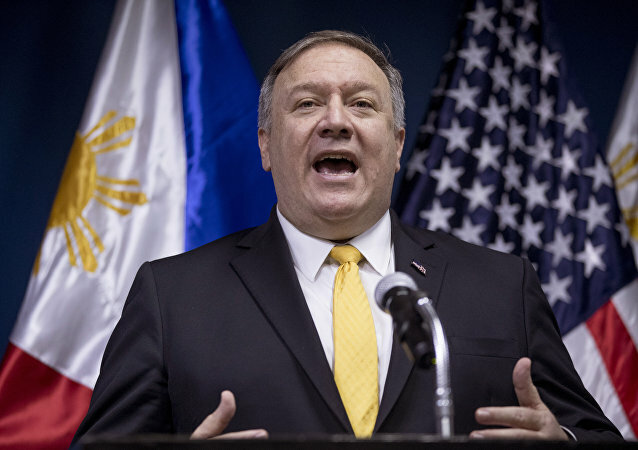 He also cautioned that Donald Trump will face far-reaching consequences if the US President pursues what Maduro described as a "dirty" imperialist conspiracy to oust him. 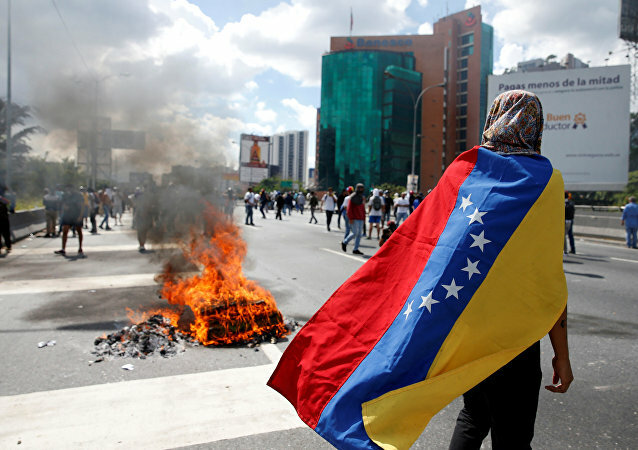 Venezuela has been currenly facing a political crisis that escalated after opposition leader Juan Guaido declared himself interim president. The United States and several of its allies immediately recognized Guaido as interim president. US National Security Advisor John Bolton was seen holding a notepad on Monday with “5,000 troops to Colombia” written on it, sparking fears that military intervention is possible in Venezuela. Washington has backed Venezuela's opposition leader Juan Guaido as the country's interim president and imposed sanctions on state-owned oil company PDVSA.